The NHS’ digital chief Juliet Bauer is to move to Swedish digital health firm, KRY, amid a “revolving door” controversy where she praised the firm in a newspaper article without announcing she had taken a job there. 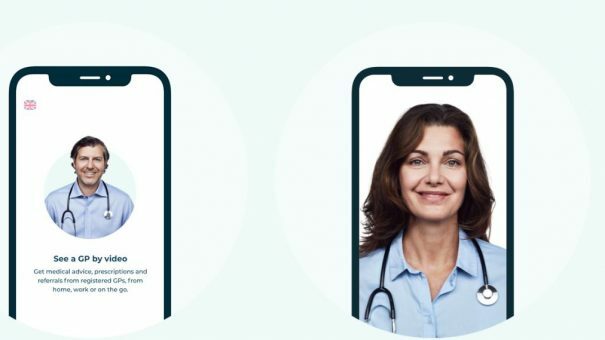 Bauer, who has been chief digital officer at NHS England since 2016, revealed earlier this month that she is heading to KRY, which markets an app called Livi that allows patients to contact a GP using an app. There’s no suggestion that there is anything wrong with Bauer’s move to KRY – what’s concerning critics such as Public Accounts Committee chair, Meg Hillier MP, is her decision to praise the company in an article before publicly announcing her move. In the article published in The Times on January 14, Bauer praised Livi for its “higher level” of patient and GP satisfaction “while at the same time delivering higher patient safety and medical quality”. Livi is also helping to reduce prescription of antibiotics, according to Bauer’s article. Bauer, who is working her notice period at NHS Digital, did note that she would be taking a role with “one of the largest and trusted digital healthcare providers in Europe”, but did not specify she would be joining KRY. But this did not impress Labour MP Hillier who told the Financial Times that the article was “brazen” and “jaw-droppingly inappropriate”. Hillier went on to say the article is a “puff piece advert” for Livi and was “shocked at the lack of judgment” Bauer had displayed. “This revolving door of senior officials going into businesses they have worked with has long been an issue but this is brazen,” she added. Former colleagues were also concerned – Simon Eccles, chief clinical information officer for health and care, told the FT that Bauer’s comments in The Times article were inappropriate. Eccles said Bauer is “an evangelist” for patient-centric healthcare but added that “muddling” that message with any commercial provider “was a mistake”. On her linkedin profile Bauer describes herself as an “innovative, experienced digital leader” with a “successful track record across multiple sectors”. Previous jobs include director of Product Development at The Times and The Sunday Times, and a senior digital marketing role at the publishing firm Emap. Health secretary Matt Hancock is also a keen proponent of digital health and called for the technology to be widely used on the NHS in his 10-year plan published last month. But Hancock has been criticised for his links with the doctor app Babylon Health, which has been heavily criticised in the past by an NHS standards watchdog. pharmaphorum has approached Bauer for comment.